MSRP-$799.00 (4/4) – Representative Photo. Each individual. 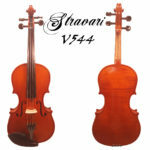 Well Flamed, high grade ebony violin outfit with deluxe Brazilwood bow and Oblong case. MSRP-$1,799.00 (4/4) Representative Photo. Each individual. 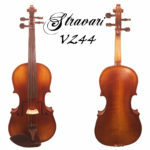 High quality student viola outfit with brazilwood bow and shaped case. 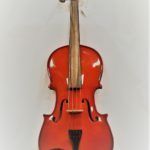 High quality student cello outfit with brazilwood bow and deluxe bag. 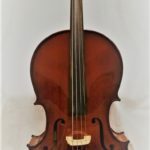 Well Flamed, hand varnished, well seasoned air dried woods cello outfit with deluxe brazilwood bow and foam hard case. Laminate bass outfit, hand varnished with Brazilwood bow and bag. Solid top bass outfit, hand varnished with Brazilwood bow and bag.